Before planning your Tour to Jordan, you have to know the traditions and customs of your destination. Here are some fun facts you probably didn't know about mesmerizing Jordan, the ideal destination for those looking for a cultural, carefree, adventurous or relaxing holiday. It's true; Jordan offers everything you are dreaming about. 1- It is considered courteous to refuse a meal three times before actually accepting it. 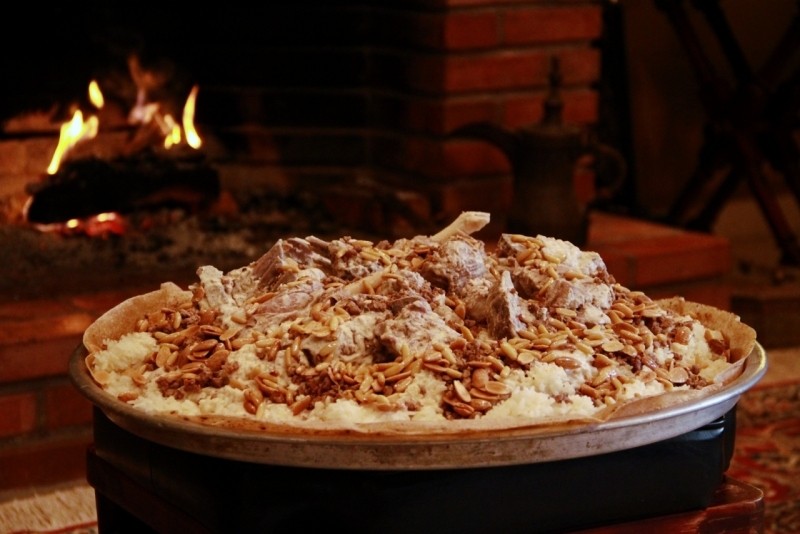 2- Mansaf is Jordan's national dish made of lamb cooked in a sauce of fermented dried yogurt and served with rice or bulgur and served in a large Bedouin style platter. 3- Jordanian people are likely to believe that over-praising kids can actually bring bad luck and this act is generally avoided. 4- It's said that John the Baptist was imprisoned and beheaded at Machaerus, known today as Mukawir. 5- The lowest point on earth is located on the surface of the Dead Sea (over 1300 feet below sea level). 6- The Treasury at Petra was used in the final sequence of the film, "Indiana Jones and the Last Crusade." 7- Aqaba's reef is alive with untold variety in its coral and fish. Common species are branch coral, fungia and montipora, and the rare Arcelia, a black, tree-like specimen found at great depths and first discovered by King Hussein himself. 8- Some of the world's earliest known churches have been recently discovered in Jordan. The remains of a mud-brick building in Aqaba may be the world's oldest known purpose-built church. This Aqaba early church dates from the late 3rd or early 4th century AD.